The phase of a teenager goes through a lot of transitions and changes within oneself. It is a phase wherein a person is not completely a child and not completely an adult. This phase is the most delicate phase in the life of a teenager. A teenager though starts feeling a big guy or girl, yet he or she is still small for that. While managing higher education, several teenagers think of opting for part time jobs. Pursuing work along with studies brings a great amount of learning and fun. It teaches a great sense of responsibility to a teenager. Several students prefer to take care of their expenses by working in part time jobs while pursuing higher education. This trend can be commonly seen overseas as well. There are several areas wherein teenagers can pursue their part time jobs seeking great knowledge and experience. However, parents are quite concerned to see their teenage girls working along with their studies. Hence, there are certain options which can prove to be best for teenage girls. With true dedication and perseverance, students are able to manage their studies along with different activities. The following are the best part time career options which can suit teenage girls at the best. NGO Worker-NGOs are one of the best part time career options that can be fit for teenage girls. With a social and professional atmosphere, girls can work with great peace and security. NGOs conduct drives and road shows which can be pursued with great ease. Apart from spreading social messages, girls can also earn a good pay out of it. It can later be taken up as a serious career path. 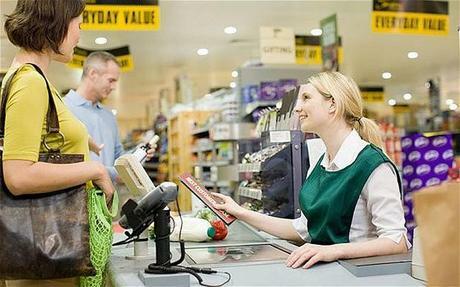 Employee in a Grocery Store or Coffee chains-Girls can easily apply and work in grocery stores as a part time employee. With regular shifts, girls can easily manage their studies along with the part time job. Also there is safe atmosphere in restaurants, grocery stores, cafes, etc.. which can make it easy for teenage girls to work. Tutor-Girls can easily take tuition classes while pursuing higher education. Teaching students on an hourly basis can fetch a good amount of money. Also education is an evergreen stream. Hence the demand for tutors would always be there. Girls can indulge in teaching students from pre – primary to graduation level. This would not only help them in gaining a great experience but would also help in earning a good amount of money. Web designer-There is a great scope of making a career as a web designer. As we are becoming virally empowered, the work of website designing is eventually increasing to a great extent. Girls can take up part time web designing jobs and learn the art of graphic designing. This can help in making it as a full time profession in times to come. Accountant-Girls can join up several accounting firms and work as a part time employee there. This would not only enhance the knowledge but would also help in gaining a rich experience. Accounting as a profession is also brimming up highly. Hence, this can also be a great area to venture into full time.